After reading ZMOT and Inbound Marketing: Perfect Together?, you should have no doubts about the criticality of getting found online. The next step, then, is focusing on how to get found online - also know as 'inbound marketing 101'. 1. Create glorious, delicious, memorable and relevant content on your website and on your blog. This includes in-depth or advanced content [what Mike Stelzner refers to as 'rocket fuel' in his book Launch: How to Quickly Propel Your Business Beyond the Competition] as well as blog articles and website page content. Your content needs to be meaningful to potential customers. Here are several blog articles I've written about getting found online. They provide more perspective on the three principles of inbound marketing 101 mentioned above. I've detailed three areas to focus on to get found online. Before you go and put Create Content, Optimize Content and Promote Content into practice, here are three last articles that offer a big picture perspective on why it's critical to get found online. How are you getting found online? What have you found works best? 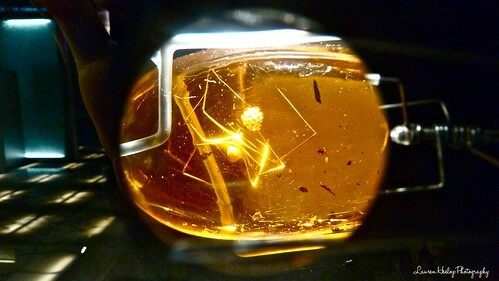 Photo Credit: A spider trapped in amber, this photo's taken looking through a magnifying glass about the size of a 10p coin on Flickr.